Client: Newlyweds come to my studio to create wedding rings for each other with their own hands. 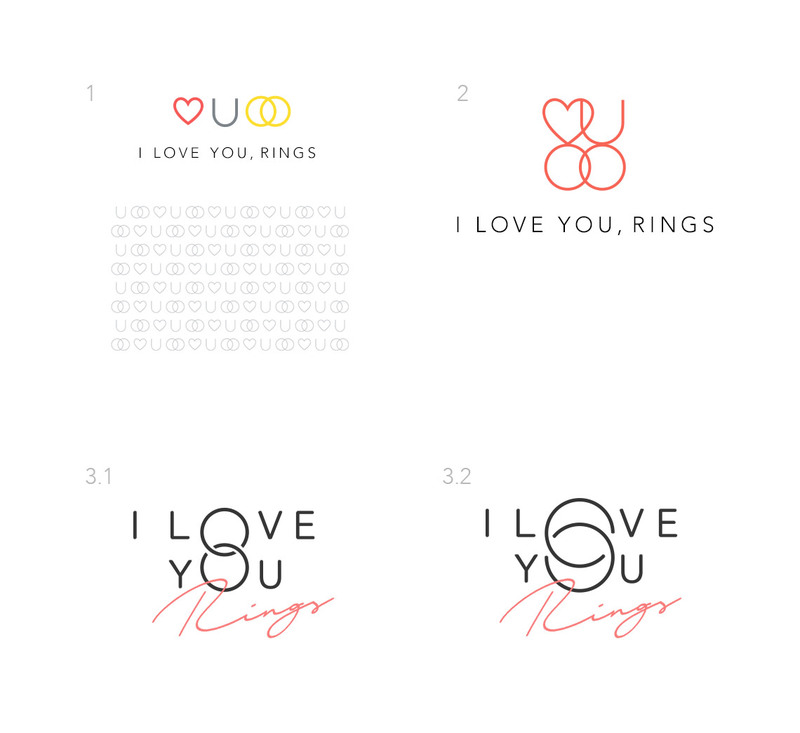 I would like the logo and the corporate identity to reflect the romantic appeal of the process, to be simple, beautiful and unique. I plan to considerably expand the project, first across Russia, then beyond. 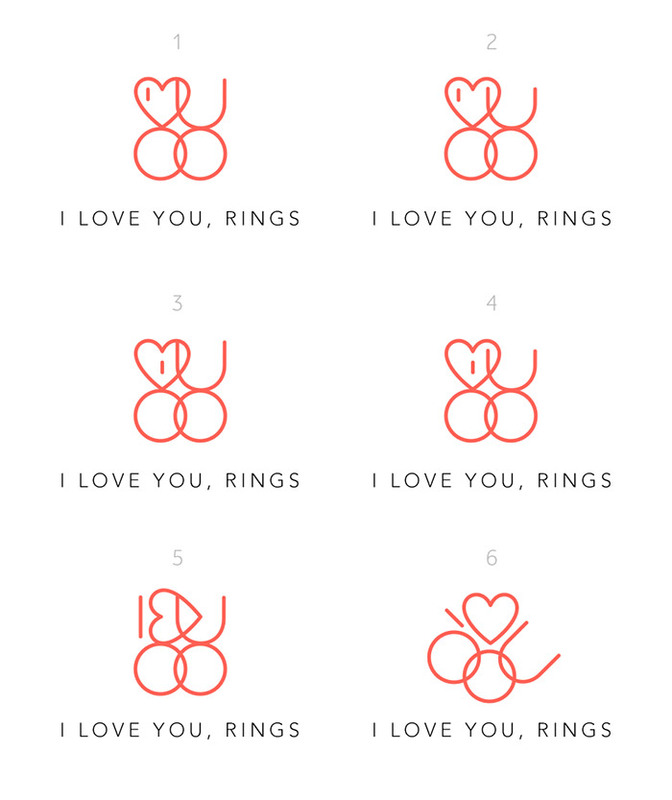 I want everyone in our country to know that there is the I Love You, Rings brand and that they can make their wedding rings. Our current logo has my name, Abramova, I prefer not to have it in the new logo and replace it with the name of the brand. Going through the client’s Instagram account, exploring the production process. Art director: Try to add the I to the second design. Art director: Now it reads mudo. 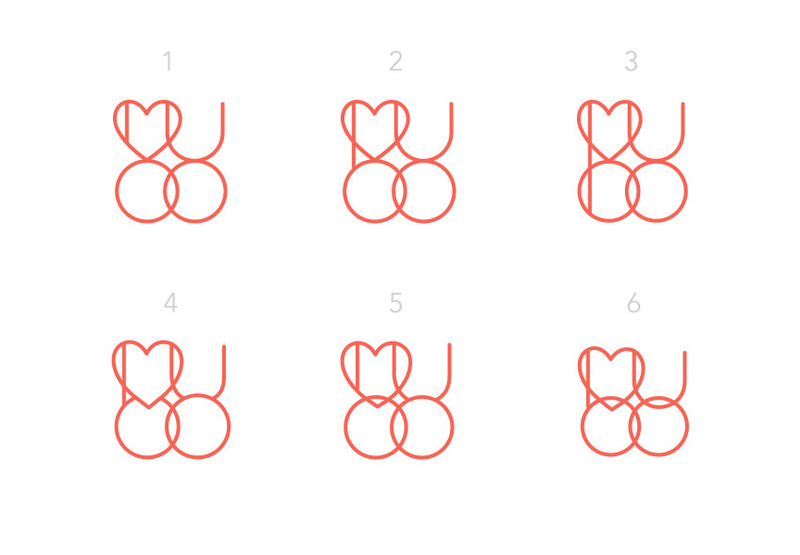 Art director: Go with the first one. Cleaning up and handing off to the client.